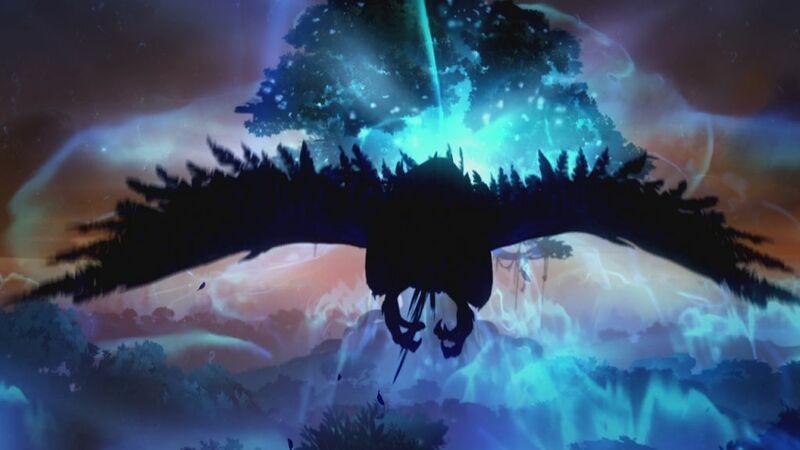 Ori and the Blind Forest is the best game on the Xbox One’s library to date and one of the most whimsical games of all time. Like Brothers: A Tale of Two Sons, you’re taken on an emotional journey. 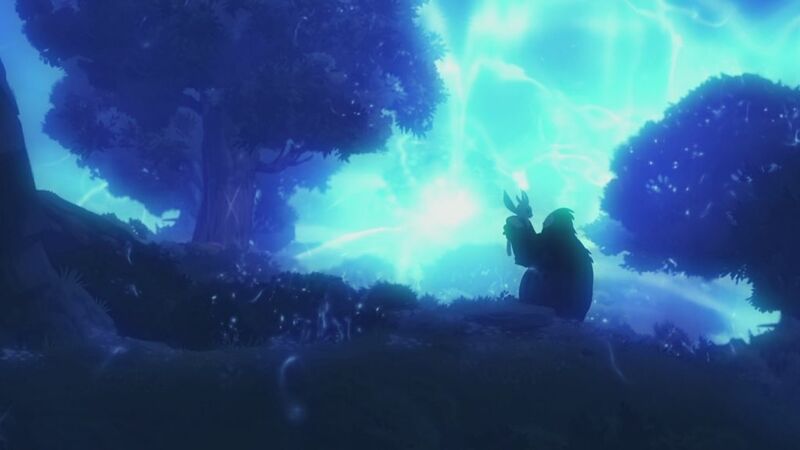 However, Ori packs a whole movie’s worth of beloved characters into just five minutes. Much like a Studio Ghibli picture, there’s a sense of wonder with every step you take and every frame of animation you see unfold. Hard work was clearly put into everything, and it results in something that everyone should experience. 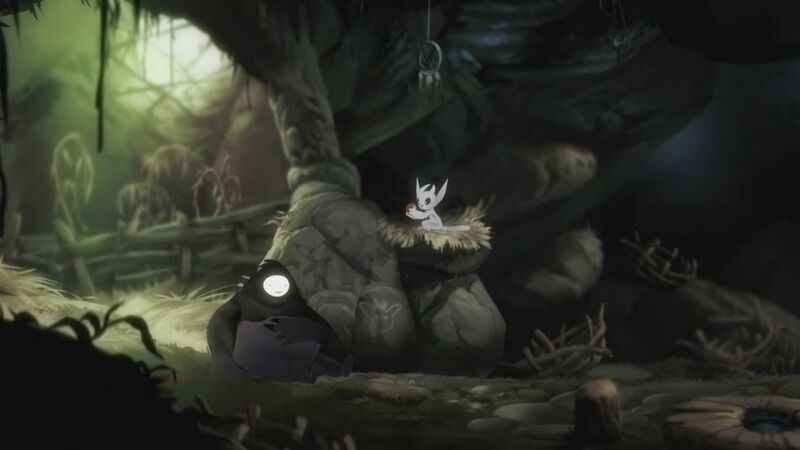 Within mere minutes, you’re introduced to a large character named Naru who lumbers around and befriends Ori – a tiny white bunny rabbit/bat-looking creature. Ori has been orphaned, and so Naru steps in and they become inseparable. 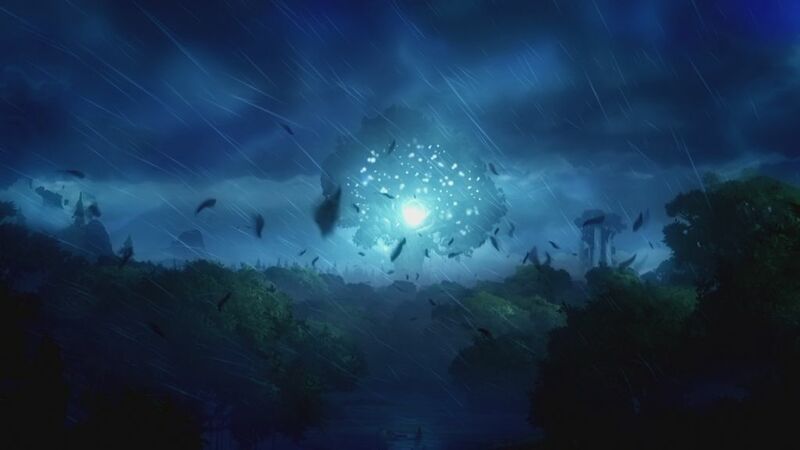 A storm destroys their forest and the result is the end of vegetation. Naru gives Ori the last morsel he can find, and when she awakens, she goes to collect more from a high branch that Naru couldn’t reach. Sadly, she arrives too late and Naru lays dying on the floor of their shelter. Saddened, Ori honors his memory by laying in his arms one last time as he breathes his last breath. This opening portion was emotionally-draining to witness, but for ways that also brought a smile to my face. The nature of the Naru/Ori relationship reminded me of my first cat Rocky essentially raising my now-18 year old cat Spud when she was younger. He taught her everything and on his last day, tried to bathe her, but couldn’t, so she bathed him instead. He left her side and went into my now-late mother’s room and plopped on the floor. We took him to the vet immediately and found out that he had mouth ulcers and renal failure and put him down. It was a draining day, but ultimately, we knew he wasn’t in pain anymore and after over 20 years of life, he’d finally given us one last story to tell. 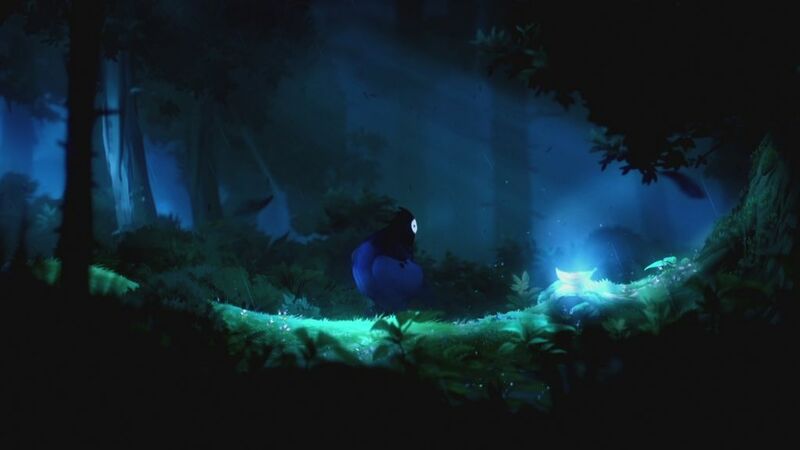 With Ori, you start the game knowing that Naru is gone and hoping that you’ll see him again one day. During their brief time together, you’re teased with them acting as a duo that feeds off each other and can get anything done if they’re a team. 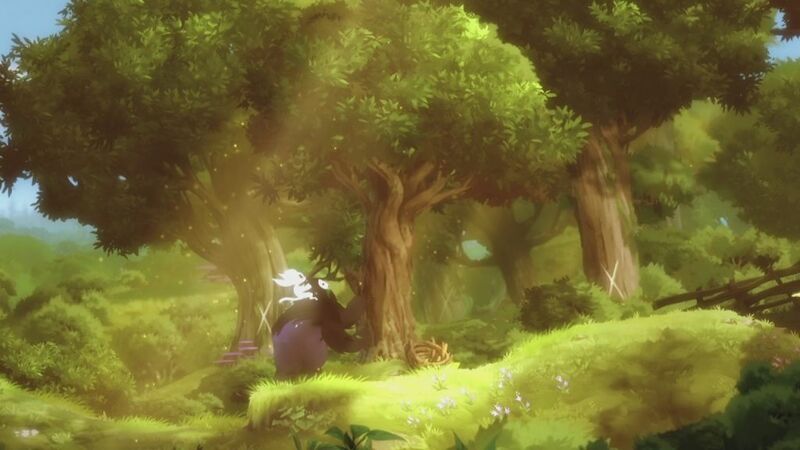 They reach an impasse, so Naru uses his might to place logs around, while Ori ties them together. It’s a perfect gameplay mechanic and you’re all ready to go on that adventure before Naru’s passing. It’s heartbreaking because just as a player, you feel like you’ve lost a key part in the game. You go into it expecting to have a partner, and then he’s taken away. At the onset, the game is very much like Another World/Out of This World. You have no powers and you have to think defensively to survive. Soon after, you find Sien – a light blue beam of power. This beam acts as your primary attack and it’s pretty cool to have a default weapon that is basically low-to-medium range right away. 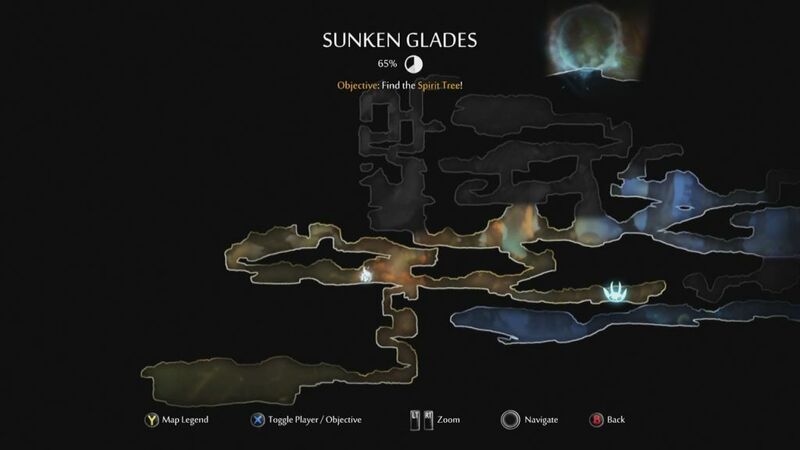 You don’t feel like you’re overpowered and the game’s difficulty scales nicely from minute one. 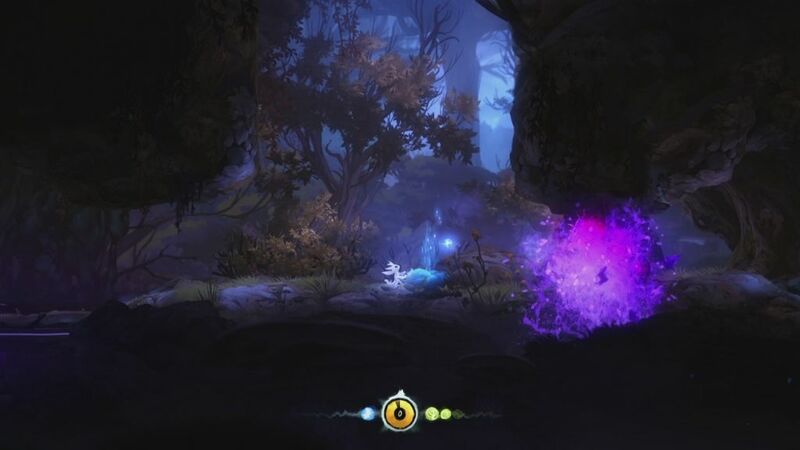 Ori controls like a dream with A jumping and X acting as your melee attack. You can use either the d-pad or left stick to move, but the d-pad feels more natural for a pure side-scroller like this. B activates your soul link, which enables you to save just about anywhere and access the skill tree. Upgrades are something you’ll want to grind for as they can make boss battles much easier. 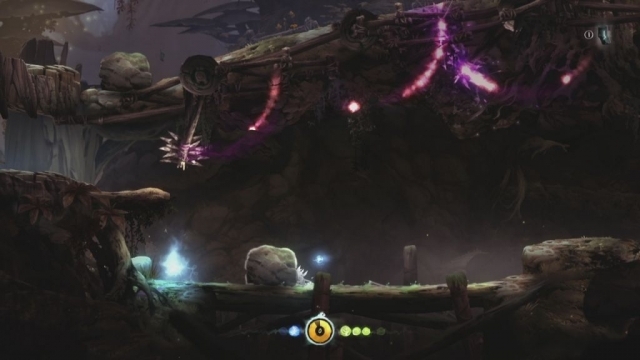 Normally, upgrades are going to be limited to what you find around the environment – much like a Metroid game. 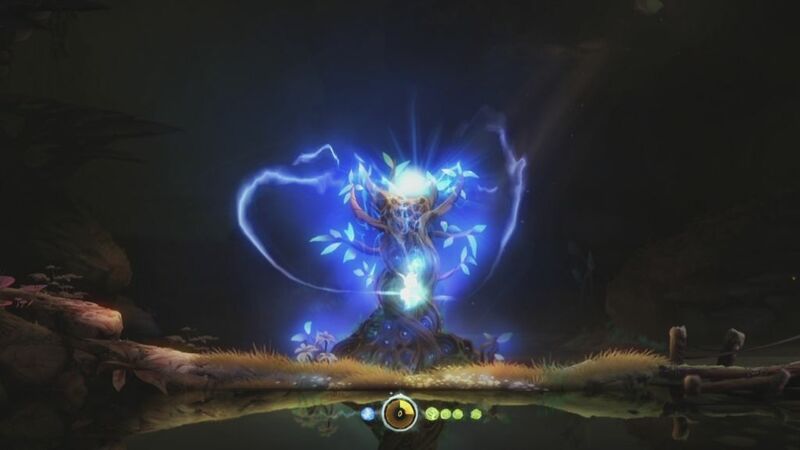 You’ll gain new powers, but be able to combine them with tree-based ability upgrades and get even more out of them. The basic combat system is simple, but has complexity to it thanks to the upgrades because you gain power and range. The key to survival is to pay very close attention to your enemies and where their attacks go. Most are long-range, which means you need to have a shoot-em-up mentality and watch everything coming towards you like an eagle. Acting like a bullet sponge is a surefire way to die, and while you can in theory save anywhere, there will be times when you die and get frustrated due to a lack of paying attention to your surroundings and forgetting to save. 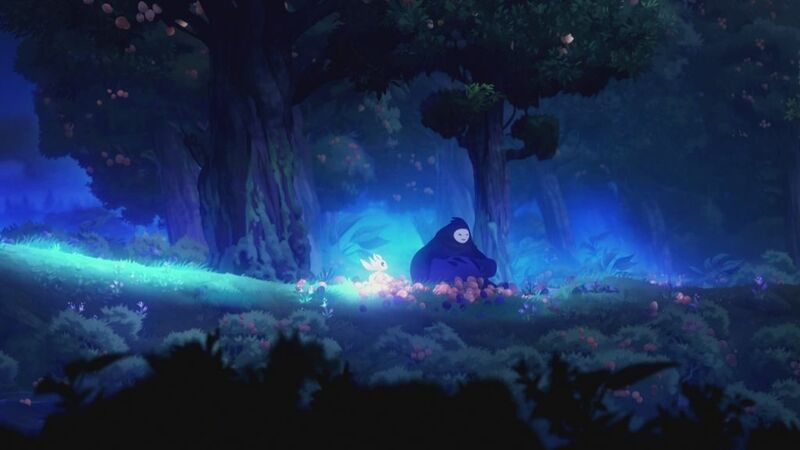 Everything about Ori plays perfectly, and it’s a very easy game to pick up and play. Visually, this is a stunning game. Every single thing about it is pleasing to the eye. Initially, the art style reminded me a lot of Dust: An Elysian Tail with its lush artwork and animation. 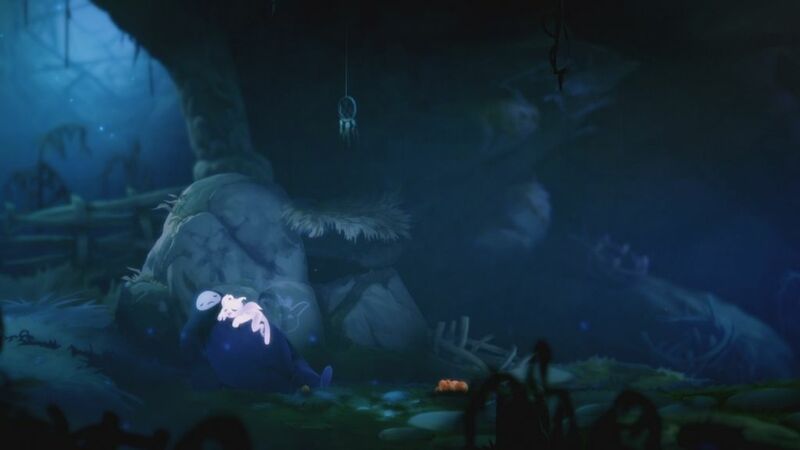 However, Ori sucked me in more with its story and tied the visuals with the story far better. Theoretical little things like lightning flashes and violent wind gusts painted a picture that was very easy to imagine. 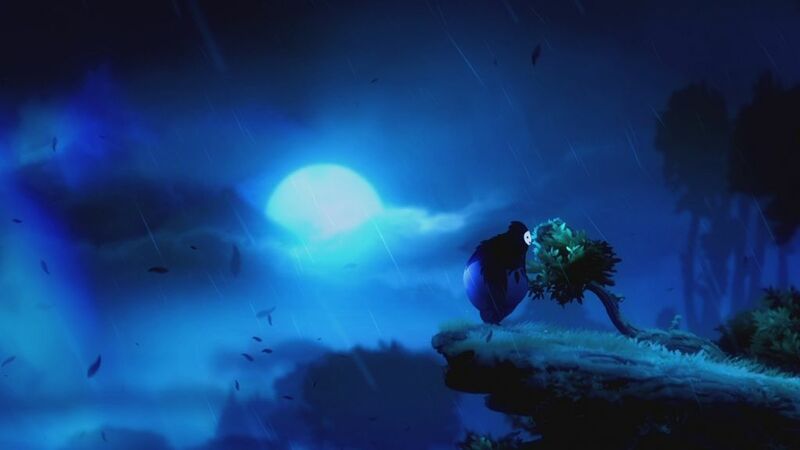 Anyone who’s been outside for any length of time in a storm has felt the ravages of mother nature, and Ori and the Blind Forest drives that home with a combination of finely-crafted graphics and sound. However, while this is one of the Xbox One’s best-looking games, I couldn’t help but think about how neat an 8- or 16-bit style demake would be. The core story could be told with a more basic sprite-based character and world design, and would be a neat experiment. I wouldn’t expect this to realistically be done, but I’d fully support it if it happened. Anyway, the environments and characters are some of the finest on the Xbox One so far with a richness to the graphics that is sure to impress anyone. Musically, this is a very subdued game, but like Flower, has a very enjoyable soundtrack as a result. It’s a very string-heavy soundtrack and I like that because you can get a variety of emotions very quickly. Within seconds, you can have a relaxing piece seamlessly go into a more intense one due to the scenario you find yourself in. Sound effects tell their own tale as well, with attack upgrades changing the type of attack and also the effect used for it. Enemies snarl and growl, but have satisfying death sounds and/or explosions depending on the type. 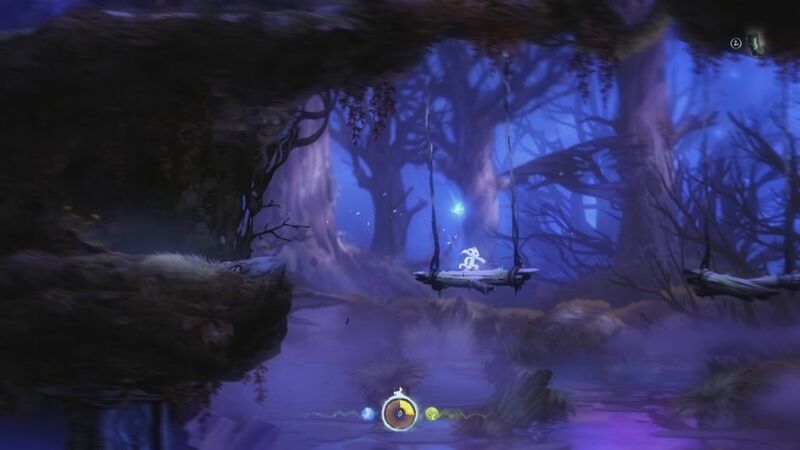 Ori and the Blind Forest is a must-own for anyone who loves Metroidvania games. This is the most artsy entry in that action-platforming sub-genre to date. 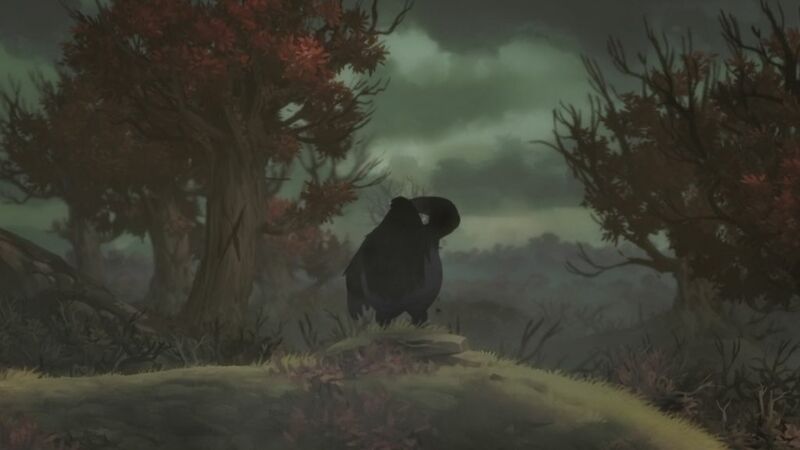 It’s an emotionally moving and sometimes draining game, but one that everyone should play. It controls smoothly, looks and sounds great, and hits every note a classic game should hit. The Xbox One really needed some platforming prowess, and this is the best game in that genre on the platform. 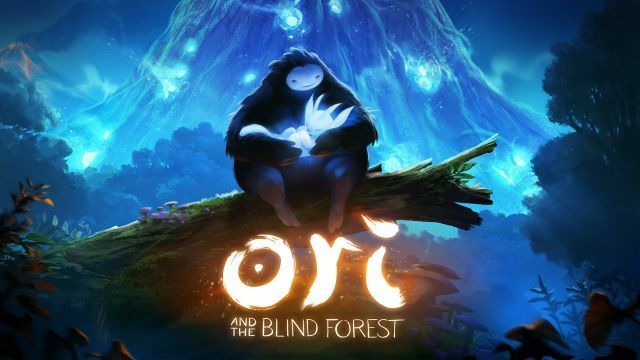 This review is based on a digital copy of Ori and the Blind Forest for the Xbox One provided by Microsoft Studios.